This is a collection of short stories set in or around Ontario, Canada. It’s available in many places on the internet as it is no longer in copyright. They are rather odd, nostalgic, sad little stories. Most, but not all, of them are written from a woman’s perspective and are domestic in scope. A couple of them start out in the same way, with a long survey of the room in which they are ostensibly written, and they seem to trail off rather inconclusively at the end. I mostly was left with a sense of lonely, unfulfilled lives- a bit like Eleanor Rigby set in the backblocks of Upper Canada. They’re not particularly sharp-eyed or insightful. I can find nothing about Suzanne Marnie on the ‘net, and these strange little tales seem to just dangle in amongst antiquarian works on Upper Canada. They’re queer, defeated little things. Reason read: Getting myself in the mood for “Old Toronto” while I was there. Was Anne Langton a proto-blogger? At first glance you’d have to say no: mid 30s (huh! ), spinster, she traveled with her parents and aunt to live with her brother on a property in Upper Canada in the mid 1830s. She began writing a journal to send to the brother who remained in England as the rest of the family sailed away. She knew that she couldn’t keep up her writing on a long term basis, so she divided the year into quarters, then wrote a daily diary for the first month of each quarter; then the next year the second month of each quarter; the next year the third etc. In this way, she eventually covered the whole year although it ended up taking her four years. Anne Langton was born in 1804 into an aristocratic, mercantile family and spent her early years at the family home, Blythe Hall, parts of which dated back to the 12th century. Between the age of eleven to sixteen she traveled with her family, including her maiden Aunt Alice, on an elongated Grand Tour. The desire to escape the shame attached to the decline in their family fortunes led to their extended absence, but eventually the family business in Liverpool foundered and they had to sell Blythe Hall. Anne’s future took a definite turn for the worse: no coming out, and greatly reduced marriage prospects. 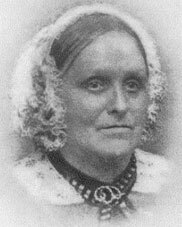 Her brother John, unable to make money by tutoring students, emigrated to Upper Canada and in 1837 his parents, Aunt Alice and Anne joined him, leaving behind another brother William, his wife and three small daughters. John prepared a house for them, close by his own more humble cottage, although it was not completely finished by the time they arrived and it took over a year to paper the walls so that the logs were no longer visible. 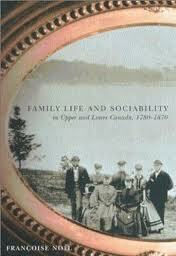 The family was just the type of emigrant that Upper Canada wanted: English, economically self-sufficient, and genteel. They brought with them their furniture and possessions, and joined an elite circle of friends and settlers. They engaged in regattas, ploughing matches, church activities and ‘bees’ to help their friends erect buildings but social distinctions were always maintained. For example, the gentry would dine and dance in the house, while the rest would hold their own celebration in the barn. The ladies of the house undertook charitable activities, and acted as healers and midwives among the sick and needy of the parish. The life of the 30-plus spinster living with her family was a very constrained one. She desperately wanted to see Niagara Falls but her mother would not allow her to; she was berated for walking alone in the woods, and her mother was very nervous about her boating on the river, their main form of communication during the winter months. She was a talented artist, but mainly painted landscapes or just occasionally portraits of family and friends- never as a form of income. 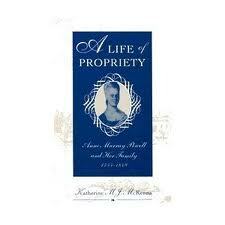 She established a small school, and started the circulating library. She has a quick, discerning eye and a Lizzy Bennett-like humour. She does not seem to have any close female friends or, indeed, love interests, and the journal is silent about her brother’s marriage. This must surely have caused her some qualms: she had reconciled herself to- even welcomed- the idea of them growing old together, acting as housekeeper in their shared home. The diary entries are interspersed with letters written not only by her, but also her mother and occasionally the men of the family. She finally achieved her goal of covering the whole year. The entries become sparser after a few years, which is perhaps to be expected, but I found myself missing her as she moved off into middle age and relative silence. The book has a generous, well-written introduction and its conclusion allows you to say your farewells to her. The introduction in particular is interspersed with Anne’s sketches and portraits. This is not the first published version of her journals: there were two preceding versions, and Williams has recovered some of the text that had been omitted from the previous publications. What happened then? Her mother and aunt died of a form of malaria, and after her mother’s death she returned to England, undecided whether to work as a governess in a friend’s school or not. 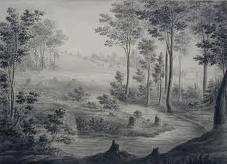 As it was, her brother John and his wife Lydia back in Upper Canada asked her to return to help with the children, which she gladly did. The family moved to Peterboro where John pursued a political career. She spent her life as a maiden aunt; she traveled with her many nieces and nephews accompanying them on trips, and died at the ripe old age of 88.